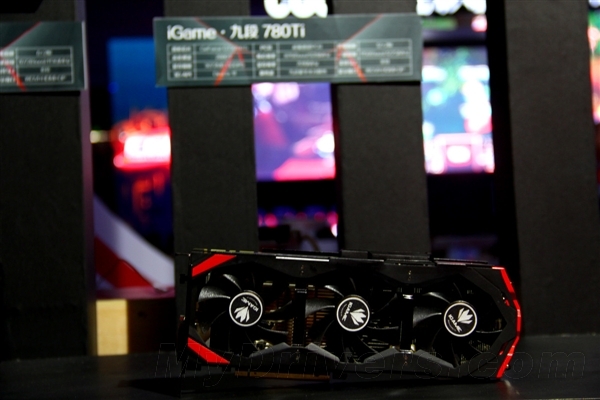 A few days ago we announced that Colorful is preparing its flagship iGame Kudan edition of the GTX 780 Ti. 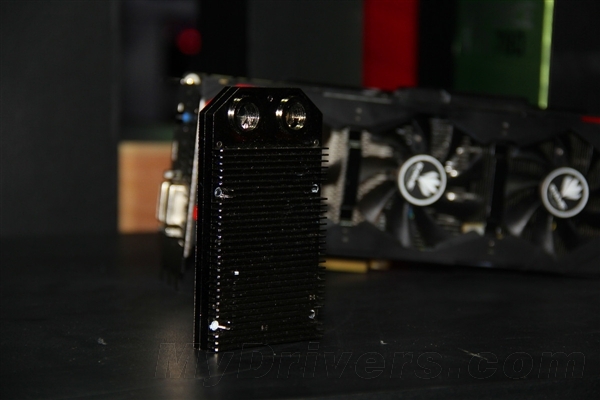 In simple words the iGame GTX 780 Ti Kudan is an absolute beast, in terms of design as well as power. 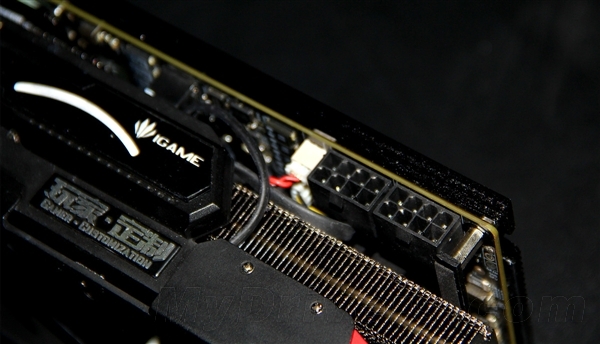 We have now received confirmation that iGame has released the GTX 780 Ti Kudan. The hard specs are of course the same, with 2880 Cuda Cores (SPs, whatever you want to call them) and 3GB (7008Mhz) Ram. Similarly the iGame Kudan is 384 Bit. However the PCB is entirely custom and non-reference which accounts for the much higher clock’s the Kudan can achieve stably. The boost performance (if the benchmarks are to be believed) is a 15% increase over stock. The card features a standard DP + HDMI + Dual DVI, user-friendly multi-screen output. 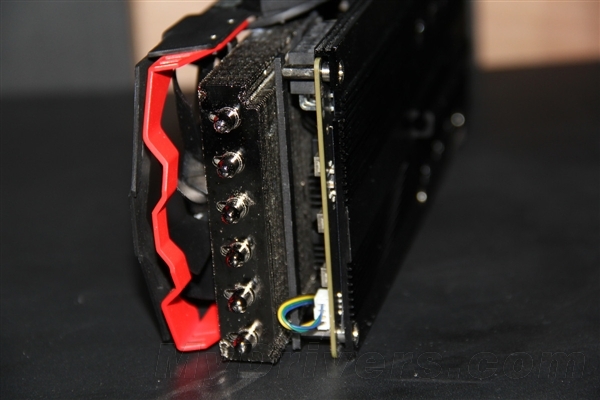 Now onto the cooler, this particular GTX 780Ti follows iGame 780’s three fan design, the use of back plate, water-cooled (hybrid) air-cooled auxiliary cooling solution. We even got a fin count which is 142, four times stock and with six 6mm nickel-plated copper heat pipe. 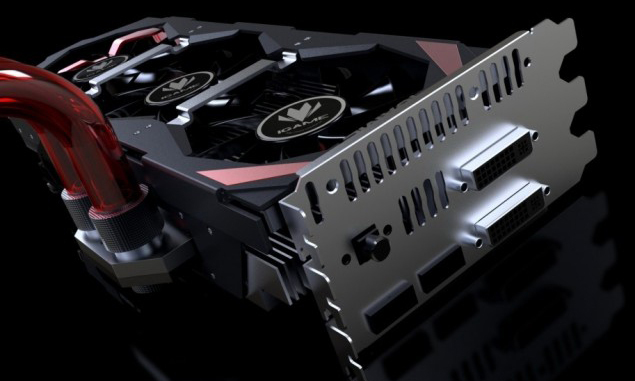 The cooler on the Colorful’s iGame GTX 780 Ti Kudan is an absolute monstrosity with a triple slot and triple fan design which push air towards a large central heatsink equipped with 6 pure copper heatpipes to dissipate heat from the GPU. Additionally, Colorful has taken one step forward and followed ASUS’s engineering by offering a similar Hybrid cooled approach. Just like the DirectCU H2O, the new Kudan cooler has two inlets which can be equipped with water pipes if you are using such a setup to offer additional cooling to the core. 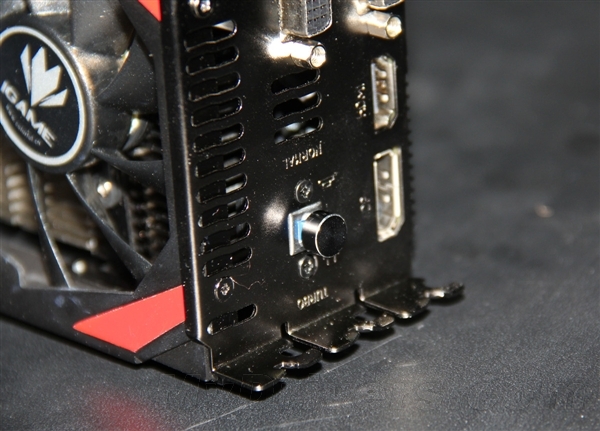 This is completly optional and those who want to stick with air cooling can do so without using the water cooling setup. You can also use both air and water cooling at the same time if you have a water cooled rig for additional cooling incase you are overclocking. The black and red theme looks gorgeous on this card and it also comes with a pulsating iGame LED on the side which provides a cool look. 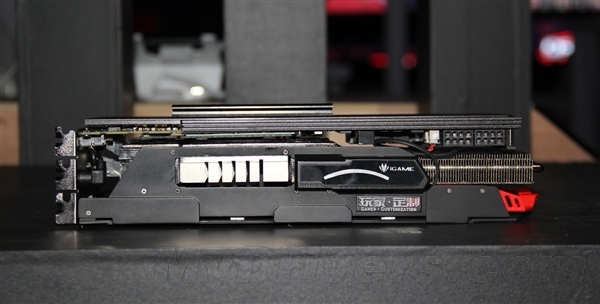 To ensure maximum stability the power circuit of the iGame780Ti Kudan adds 12 +2 phase IPP (IGAME Pure Power) Pure Powered Design and Japanese Tantalum capacitors. 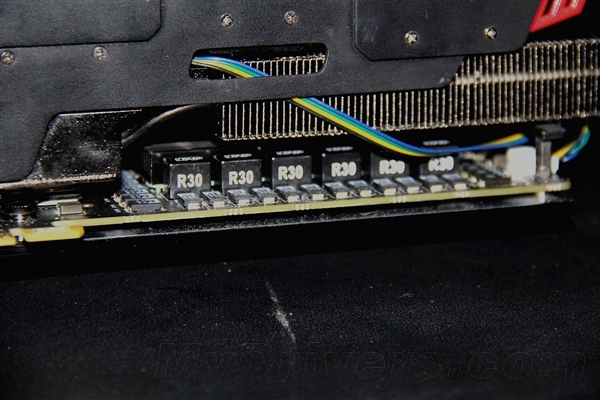 This while using in-line power supply arrangement for the graphics card to achieve high stable clocks. Now onto the best part! After overclocking the frequency up to 1006MHz, the Boost was 1072MHz, giving a performance increase of around 15% over stock. 3Dmark’s Fire Strike Extreme Benchmark at normal mode yielded a result of4970 points, and going as high as 5900 points or more in Boost Mode. Weather the company’s claims are true or not this ranks amongst the most powerful factory clocked cards out there. One of the most powerful competitors it will face is of course the GeForce GTX 780 Ti Classsified KingPin Edition from EVGA. The 780 Ti Kudan has a 2mm steel reinforced insulation coating, to ensure that will not be damaged or have PCB deformation. The PCB itself uses SPT (Silver Plating Technology) to provide enhanced electrical performance. 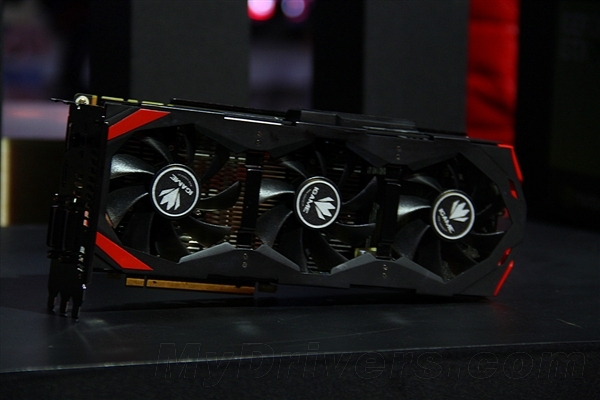 More interestingly it has a GPU Load Indicator LED so you will actually have visual cues over the state of the card.